Holiday Ball 2018 - Chattanooga USA Dance . . . Ballroom Dancing for Everyone! Join us for the annual USA Dance Holiday Ball on the second Friday in December. This festive evening will feature dinner, dancing, and showcase performances by local ballroom instructors and the December Choo Choo Formation Team. All proceeds will go to benefit the Chattanooga USA Dance Youth Scholarship Fund. This fund supports local youth who might be unable to continue their dance education due to financial hardships. We hope you'll come to support this worthy cause and make Chattanooga USA Dance a part of your holiday season. 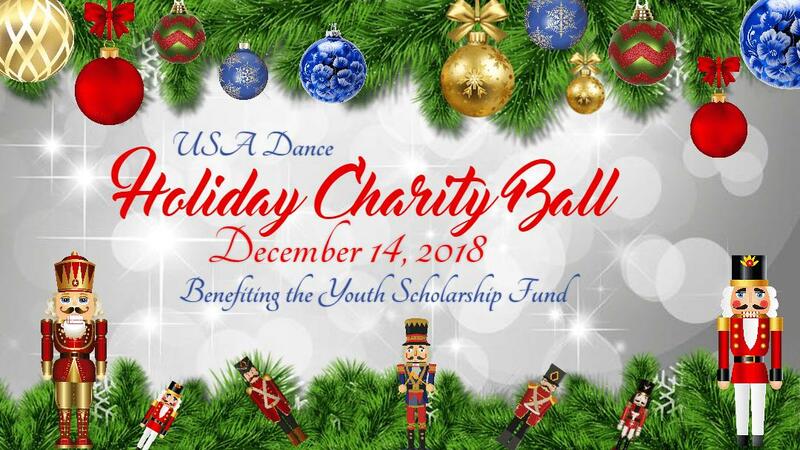 This year, the proceeds from the Chattanooga USA Dance Holiday Ball will be donated to the Chattanooga USA Dance Youth Scholarship Fund. This fund was established in 2017 by the Choo-Choo Chapter to benefit local student dancers who may need financial assistance in order to pursue ballroom dancing. ​we've seen the student population of dancers decreasing, so now is the time to help our students pursue ballroom dancing if they desire to learn. All ticket prices include dinner, dancing, showcases, and professional photography by Ray Helman.